Pending home sales stalled in July, down 0.8 percent in the National Association of REALTORS® (NAR) Pending Home Sales Index (PHSI). The PHSI posted 109.1 in July, down from 110.0 in June. The Index is based on contract signings. 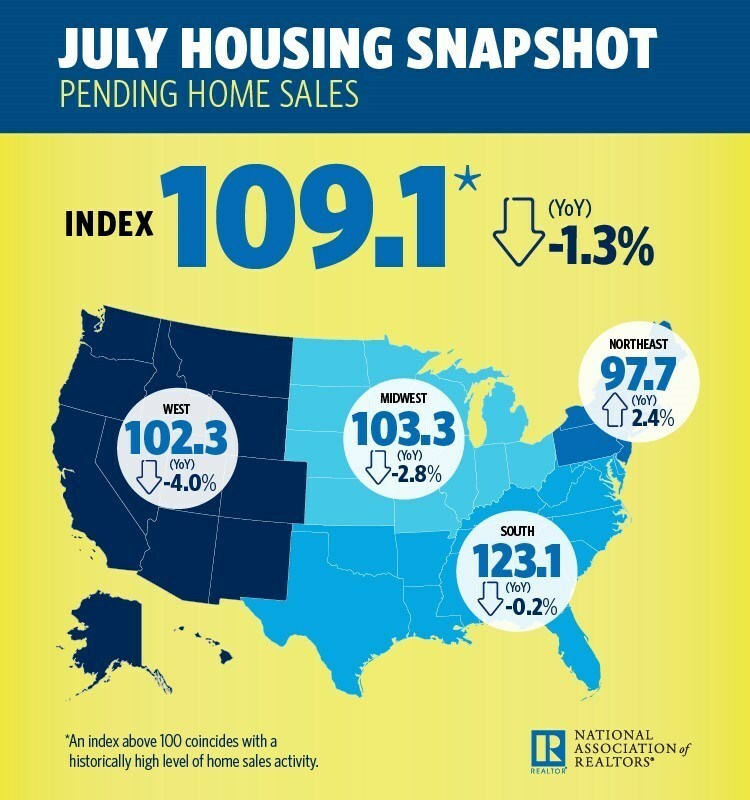 Only one of the four major regions in the U.S saw an increase in the PHSI in July, with the West up 0.6 percent to 102.3. The Midwest, Northeast and South saw decreases, with the Midwest down 0.7 percent to 103.3, the Northeast down 0.3 percent to 97.7, and the South down 1.7 percent to 123.1. Home prices have outperformed incomes by a gaping margin in recent years, which is shutting out many would-be homebuyers—but the more pressing issue is the lack of supply, according to Yun. Yun expects sales to stumble in the months ahead, partly due to Hurricane Harvey, which has ravaged the fourth-most populous city in the nation. “The combination of weaker contract signings and the expected pause in activity in the Houston region because of Hurricane Harvey will likely slow overall sales growth in coming months,” says Yun. The post Pending Home Sales Stall appeared first on RISMedia.